As drones continue to evolve, a Chinese company has produced the Ehang 184 drone that is capable of flying a human being for a maximum of 23 minutes, or a distance of 20 miles. The Ehang 184 is large enough to carry a human passenger of up to a maximum of 100KG. The automatic quadcopter, which does not have any controls and doesn’t require a pilot, flies at a height of up to 11,500 feet and reaches speeds of 63 MPH. It travels for a maximum of 20 miles, which is quite a good distance if traveling in a straight line. In particular, it can be very useful for people living in remote locations, near lakes or mountains. The drone is pilot-less and instead uses controls that can be inputted using devices such as a tablet. It only requires one to set the waypoint, then the “take off” and “land”. 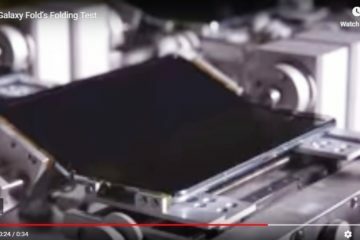 A few internal controls through a touchscreen interface allow the passenger to change the lighting and temperature. However, there are plans by the manufacturer to include a remote control center that will enable someone to take control of the drone in case of a problem. With the current drone design, a problem such as loss of connection to the remote controls, will leave the passenger with no option of controlling the drone. The additional controls will however improve the safety of the drone. So far, the drone has safely flown for over 100 times in the forested areas of Guanzhou . The testing has been done at low altitudes, most of the times the drone flew on its own with no passenger and only seven flights had a person on board. The drone uses four arms, each with a pair of propellers. According to the manufacturer, the Ehang 184 will still land even if three arms or the six propellers malfunctioned. However, the landing might not be as smooth and the drone will spin on the remaining arm until it stops on the ground. It is also assumed that the drone can detect and dodge obstacles. It may not be time yet for the drones to be used commercially like planes. The laws are not yet clear on the drones, even for those that do not carry humans. 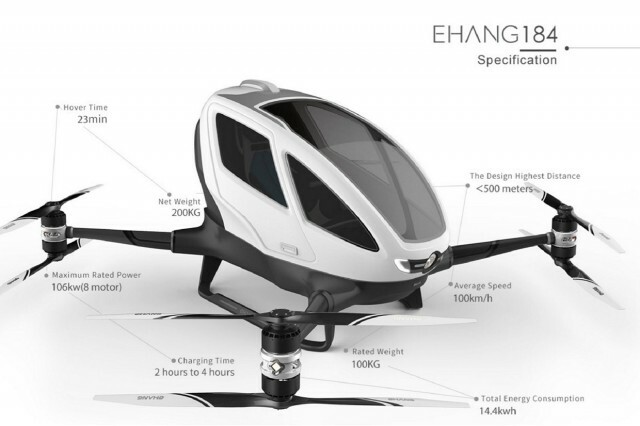 The expected price tag for the Ehang 184 is in the region of between $200,000 and $300,000. However, this could be a small price to pay for those who can afford the mode of personal transport.